In this packet we will go over the top 11 tips, tricks, and important steps for succeeding at the farmers’ market. Read more in the description below. Interested in selling at the Farmers’ Market? Then this packet is for you! Designed to complement the information presented in our “Four Markets” course, this ebook will help you prepare a take action and sell at the farmers’ market! Farmers’ Markets are an easily accessed, ever-growing market. They’re becoming more and more popular, driving participation from more customers and vendors. 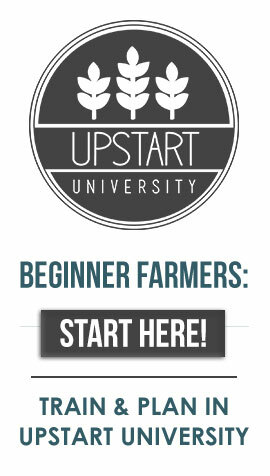 It’s a great market for new, just-starting-out Upstart Farmers. You will receive your downloads via email after your order has been processed and completed.